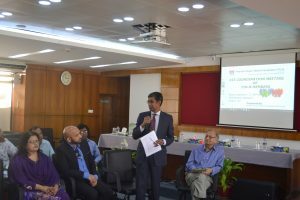 FIN-B provides a platform to develop, share and disseminate knowledge and expertise in financial inclusion through stimulating exchanges, developing collaboration and supporting its members to develop as centres of excellence in their preferred areas of inclusive finance. 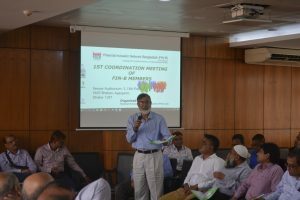 As a part of this activity, the first meeting with the FIN-B members has been organised on 20 March 2019, at 10.00 am at Auditorium-2. 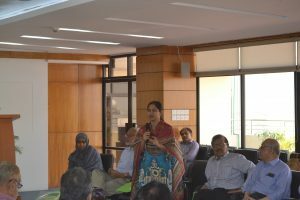 PKSF Bhaban, Agargaon, Dhaka-1207. 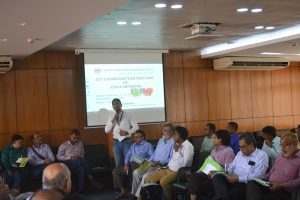 development practitioners and financially excluded community in “FIN-B Conference 2019”. Facilitate cross-learning among financial stakeholders. Promote your organisation, products & services at the Inclusion Fair. Connect with nation-wide and global financial player. trade bodies, development thinkers, researchers, policymakers, donors, and international agencies, and others. expectations in a sustainable manner. Regulatory and Policy Frameworks: Challenges and Opportunities. Technological Innovations, Agent Banking and Digital Financial Services. Designing Business Models for Financial Inclusion: Innovative Approaches and Success Cases. 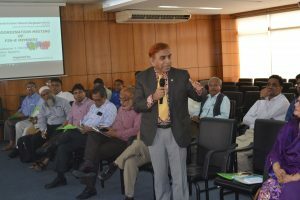 Measuring Financial Inclusion in Bangladesh: Indicators and Data Sources—Diversities and Complexities. Role of FIN-B: Enhancing Relevance and Effectiveness. Inclusion Fair: Will be organised simultaneously at the Conference Venue. 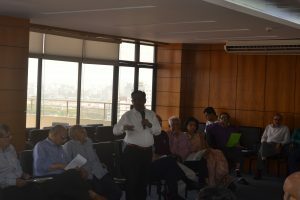 The SC discussed probable working avenues of FIN-B and approved its work plan for 2019. 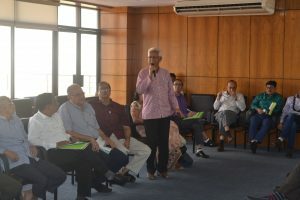 The Committee expressed their appreciation over the publications of FIN-Biz, the half-yearly flagship journal of FIN-B and Finimile, a quarterly newsletter of the Network. In addition, the SC approved the proposal of organising the 1st FIN-B International Financial Inclusion Conference and Inclusion Fair 2019, to be held in July 2019 and a FIN-B member’s collaboration meeting in March 2019. 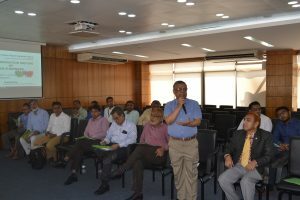 Moreover, the Committee approved three project proposals, to be implemented through the leadership of FIN-B and with the collaboration of different organisations. The second Steering Committee (SC) meeting of FIN-B was held on 8 March 2018 at PKSF Conference Room in which important decisions were taken about the future activities of the Network. 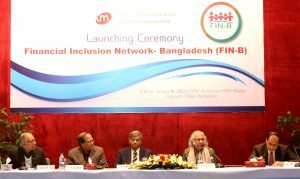 Institute for Inclusive Finance and Development (InM) organised the Launching Ceremony of the ‘Financial Inclusion Network, Bangladesh (FIN-B)’on 18th January 2018 (Thursday) at 9 am at PKSF Auditorium, PKSF Bhaban. Agargaon, Dhaka. Mr. M. A. Mannan MP, Honourable State Minister, Ministry of Finance and Ministry of Planning, GoB graced the occasion as the Chief Guest. 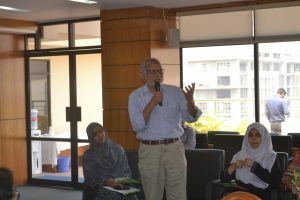 The session was chaired by Dr. Qazi Kholiquzzaman Ahmad, Chairman, InM. 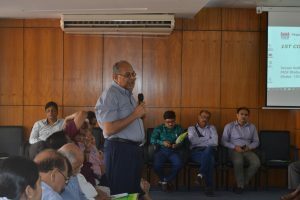 Dr. Atiur Rahman, Professor, Department of Development Studies, University of Dhaka and Former Governor, Bangladesh Bank presented the keynote paper in the ceremony. 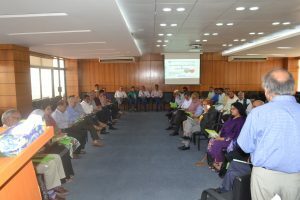 InM is working towards forming the Financial Inclusion Network-Bangladesh (FIN-B) to develop, share and disseminate knowledge and expertise on financial inclusion through stimulating exchanges, developing collaboration, and promoting the Network to its members as a knowledge partner in their preferred areas of inclusive finance. FIN-B will leverage expertise in advancing financial inclusion as a key instrument for poverty reduction and inclusive growth and development. 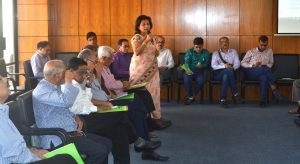 It will be a unique platform to bring together all financial sector stakeholders including banks/MFIs/NGOs/financial institutions/local government and grassroots organisations for sharing ideas and best practices from home and abroad. 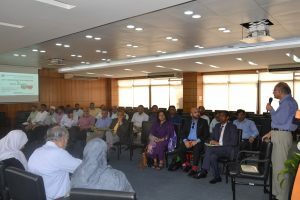 For ensuring effective functioning of FIN-B, a Steering Committee has been formed under the Chairmanship of Dr. Qazi Kholiquzzaman Ahmad, Chairman of InM and PKSF including representatives from Bangladesh Bank, Financial Institutions Division of the Ministry of Finance, banks, MFIs and other stakeholders for providing guidance to the Network. 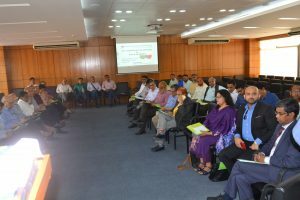 The first Steering Committee (SC) meeting of FIN-B was held on 23 October 2017 at PKSF Conference Room in which important decisions to activate the Network were taken. 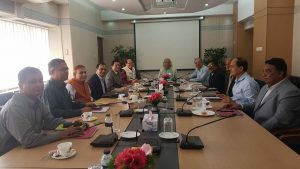 It was decided that FIN-B will be formally launched in January 2018 through organising a day long workshop on its future activities.